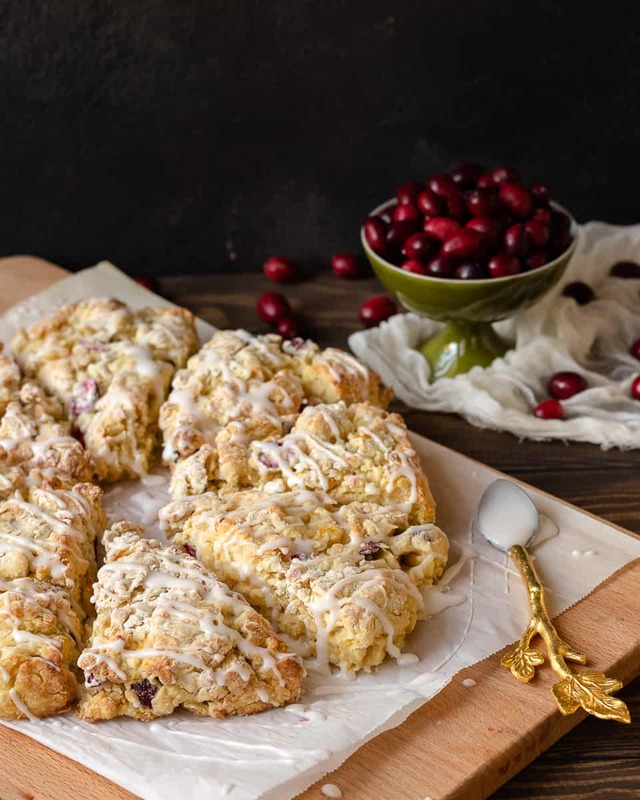 Keep winter breakfast bright with these flavorful fresh cranberry orange scones! Make the dough ahead and freeze, or mix and bake in under an hour. 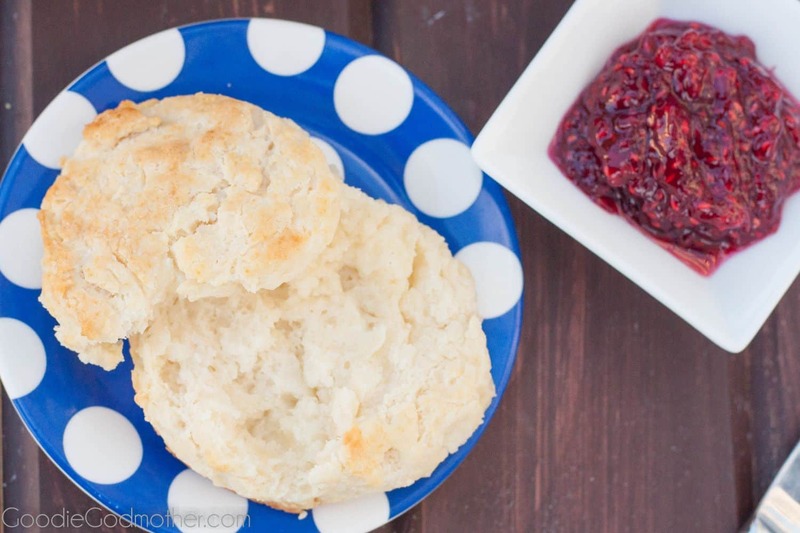 This easy buttermilk scone recipe is a great way to use fresh cranberries! When I don’t know what to bake, or I’m pressed for time, or I want to pretend I live in a quaint little cottage somewhere that my laundry does itself, I make scones. 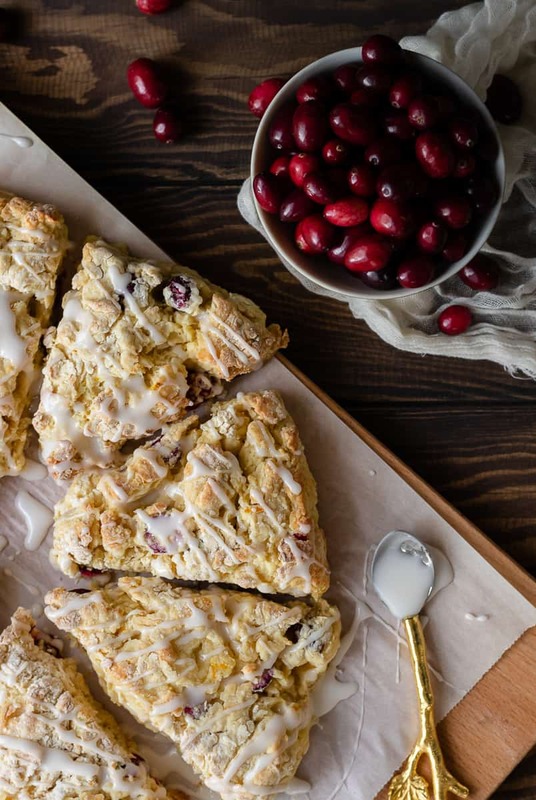 It takes less than 45 minutes, start to finish including cleanup to make scones from scratch, making them a perfect treat for the holiday season. 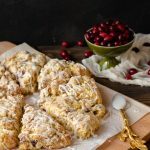 Fresh cranberries are a very fall/winter treat for me, and I’m enjoying every last minute with these fresh cranberry orange scones. These scones have a buttermilk base, making them more cake-like than crumbly, but they still have a nice flaky texture. The secret to achieving that wonderful texture is to mix the scones by hand. I know there are food processor methods out there, but in my experience, it just dirties more dishes and the result is a dough that’s a bit to uniform and integrated for scones. One mixing bowl, a pastry blender, and a spatula are all you really need. And cold butter. Please make sure your butter is cold. 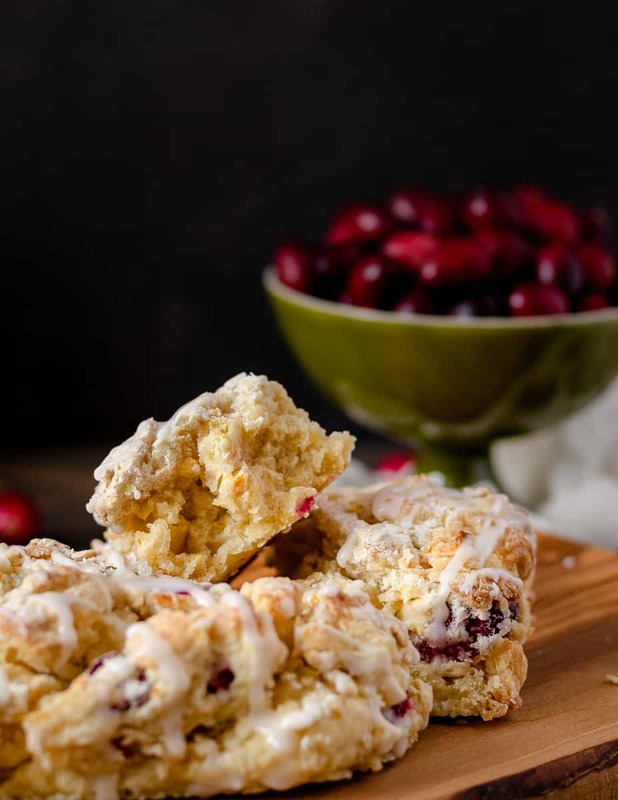 If you don’t have fresh cranberries on hand, feel free to substitute dried cranberries. This year, I’ve been really into fresh cranberries, and we realized that my daughter is too, but when I went to buy another bag for our freezer after Thanksgiving, they all but disappeared from store shelves! Scones are not for stressing about ingredients that may or may not be at the store when you shop. If you can find them though, fresh cranberries add a really nice tart lemon-like twist, which I like. 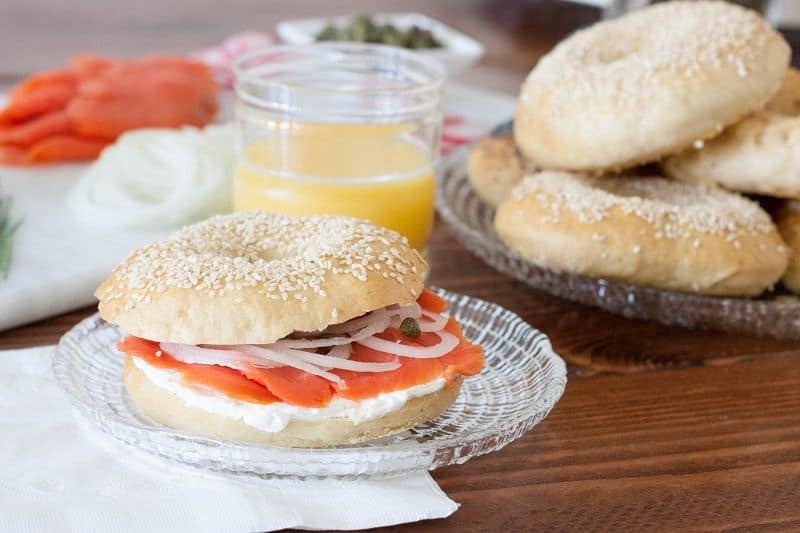 In general, scones are best the day they are prepared, but I’ve found that with buttermilk scones, you can actually store them quite well at room temperature up to 3 days without losing much in the way of texture, which makes them ideal for a gift, or as part of a meal care package for a new mom. If you’d like to wake everyone up with freshly baked scones, just freeze the scone dough after cutting into triangles and bake as needed straight from the freezer. Add about 3 minutes to the baking time. In a large mixing bowl combine the sugar, flour, baking soda, baking powder, and orange zest. Use a pastry blender or two knives to cut the butter into the flour, stopping when you have pea-sized chunks. Stir in the fresh cranberries. Whisk the egg into the buttermilk and add the wet mixture to the dry ingredients and stir until just combined. The dough will be a bit shaggy, but not dry. If it is very dry, add buttermilk 1 tbsp at a time until it just comes together. Turn out onto a clean, lightly floured work surface and press the dough into a 9″ pie tin, invert onto your floured surface, and cut into 8 equal wedges. Place the scones on a parchment paper lined baking sheet and bake 12-15 minutes until the edges of the scones are a very light golden brown. Remove from the oven and allow to set 5 minutes before transferring to a wire rack to cool. 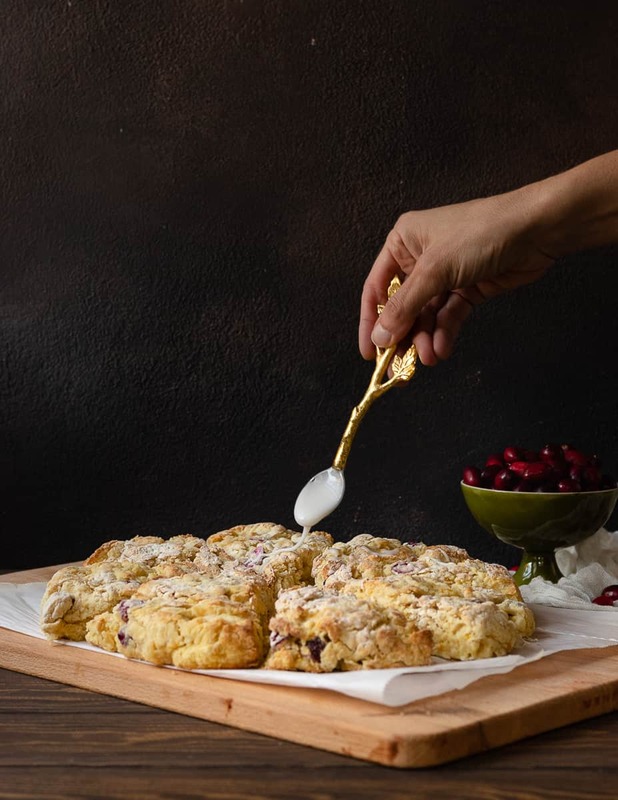 When the scones are cool, use a fork to mix together the glaze ingredients in a small bowl and drizzle over the cooled scones. A cup of butter is 2 sticks. If I cut 1/2 or one stick into cubes what do I do with other stick.